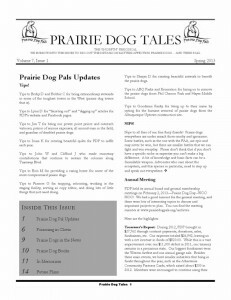 The Winter 2013 Newsletter is Here! 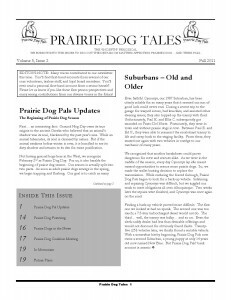 The Spring 2013 Newsletter is Here! 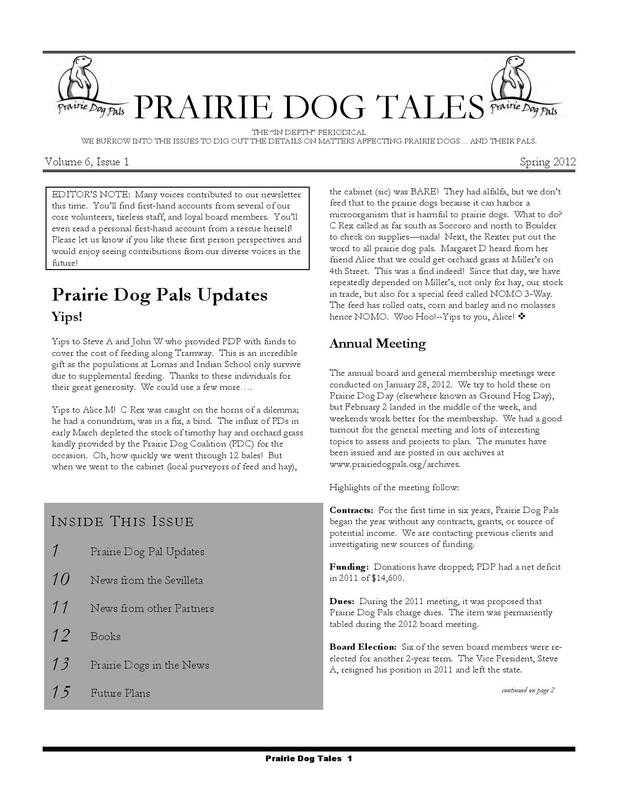 To download your copy of the Spring 2013 issue of Prairie Dog Tales, click here! 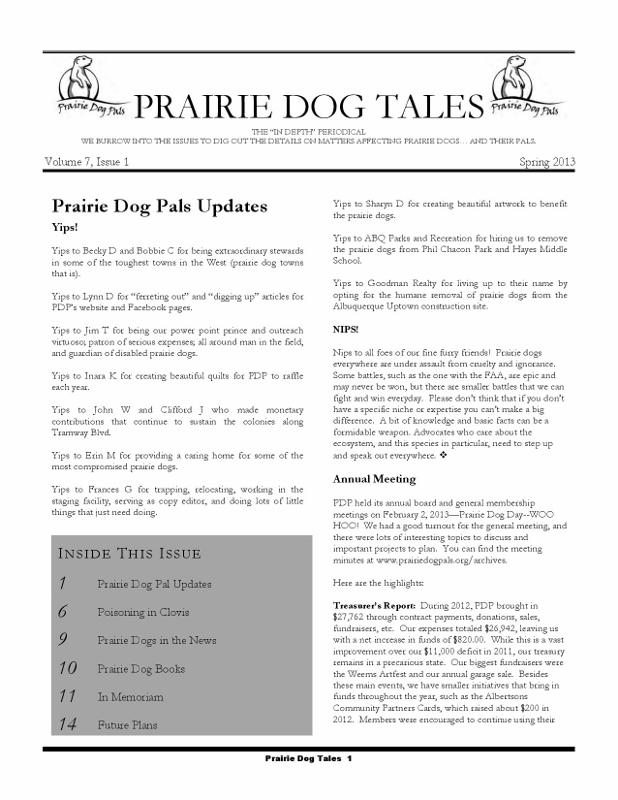 The Fall 2012 Newsletter is Here! 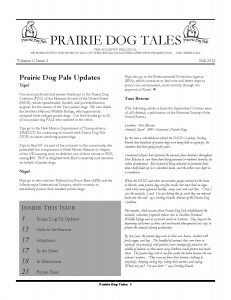 To download your copy of the Fall 2011 issue of Prairie Dog Tales, click here! 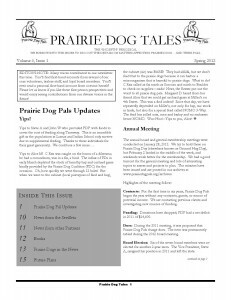 The 2012 Spring Newsletter is Here! 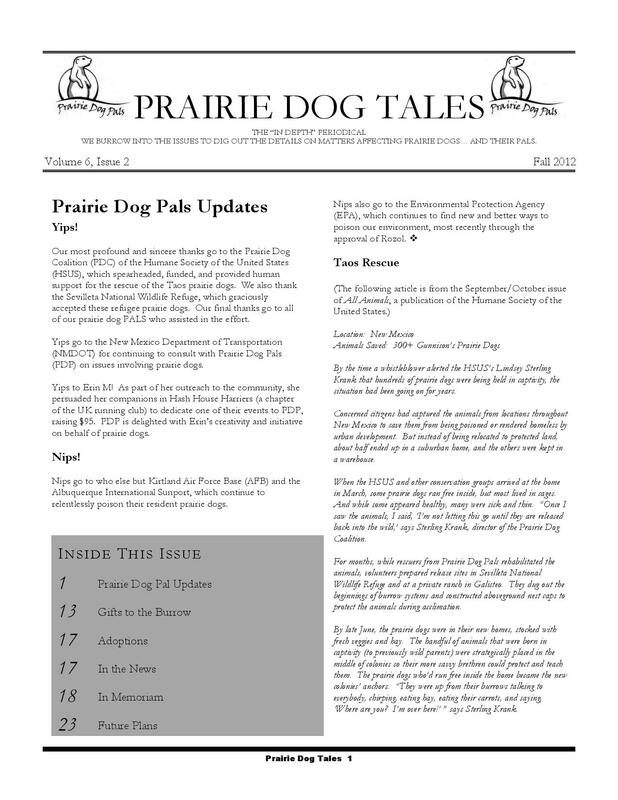 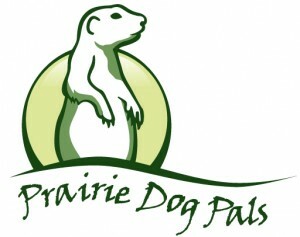 To download your copy of the 2012 Spring issue of Prairie Dog Tales, click here! 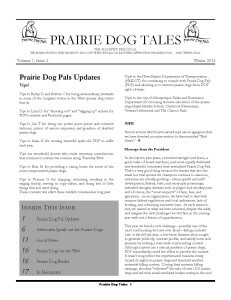 The Fall 2011 Newsletter is Here!